Mickey’s Not So Scary Halloween Party is not only my favorite Disney experience to date; it’s one of my favorite top 10 experiences of all time! Really, don’t second guess yourself- buy that ticket now if you are headed to Walt Disney World Resort this fall! MNSSHP is a separate ticket event held in the Magic Kingdom Park where the entire park transforms into a “happy haunted hallows.” Guests of all ages as well as Disney Characters dress in Halloween Costumes which adds to the spooky fun! The party runs from 7pm until midnight, (but you can get into the park as early as 4pm with your ticket.) Here are my must do’s, things not to miss and tips that can help you plan for the best party experience! Dress up! It is so much fun checking out all the amazing costumes at MNSSHP, from guests to characters, you will want to be part of the fun! 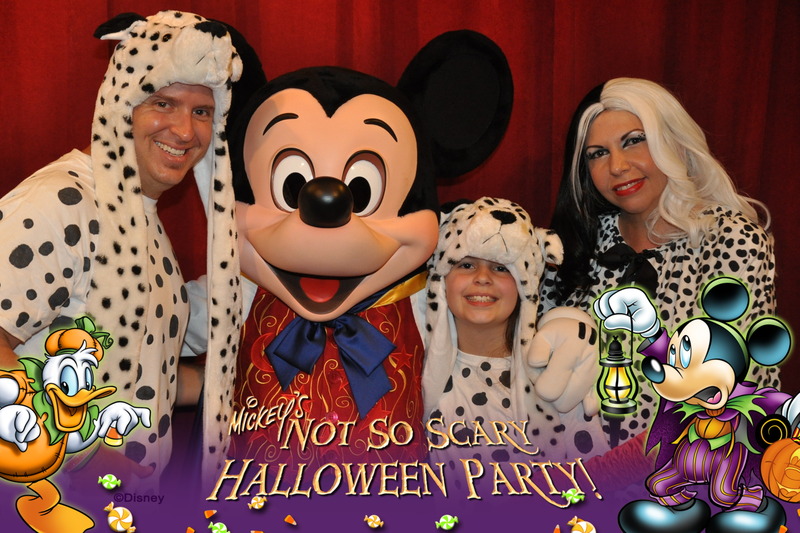 (I went as Cruella Deville, my husband and my daughter went as Dalmatians!) No matter what your age or creativity level, you will see everything from elaborate theatre quality costumes to coordinating Haunted Mansion shirts, and everything in between. Don’t feel pressured to create something over the top, just have fun with it! BONUS TIP: Pick a lightweight costume, not too cumbersome and wear comfortable shoes. Also, check Pinterest for great costume ideas! Dinner: Since you can arrive early for the party, don’t plan to waste precious party time eating dinner after the party starts at 7pm. TIP: After arriving at 4pm there are plenty of quick service options available. Or with a bit of planning, schedule an ADR- Liberty Tree Tavern at 5pm worked perfectly for us! Rides and FastPass+: As you may have guessed, FastPass+ reservations are not honored during the hours of the party. However, we were able to book them between 4pm and 7pm because we had not visited another park that day. Regardless, lines tend to be short during the party so you will find that you may not need miss them too much, we had no problems riding attractions at the end of the evening. Trick or Treat! Throughout Magic Kingdom park there will be Trick or Treat Stations set up and you’ll be given a map of the locations upon entrance. And yes, they are for all guests, even adults! You may have eye rolled at the thought of Trick or Treating as a grown up, but trust me, after the first station you’ll be hooked! BONUS TIP: Trick or Treat after the last parade is over and as close to midnight as possible. There will be shorter lines and cast members will be looking to unload the rest of their allowance of candy! Also, take a back pack if you have a sizeable party, the bags they give you are small. It is nice to keep emptying them into a backpack if your goal is like my husband’s- to win the “who got the most candy of the night” contest! 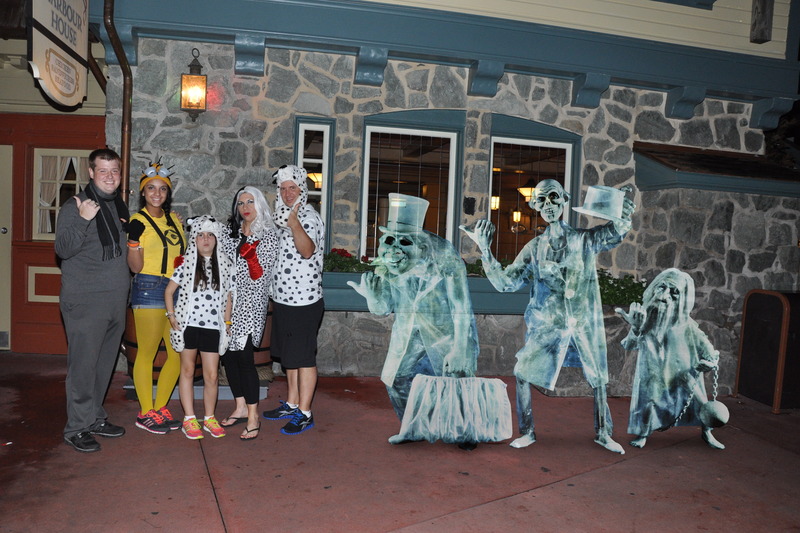 Photopass Magic Shots: One of the best kept “secrets” of the night is the opportunity for Photopass Magic These are fun extra Photopass locations with added enhancements like the Hitchhiking Ghosts and other spooky fun! In the past, locations have included one in Liberty Square, one in front of the Haunted Mansion and one on the Adventureland bridge. BONUS TIP: Ask a Photopass photographer during the night of the party and they will be able to point you to the exact locations. BONUS TIP: Purchasing the all inclusive photo package called Memory Maker is always a good idea, but especially if you are attending a special event such as this! 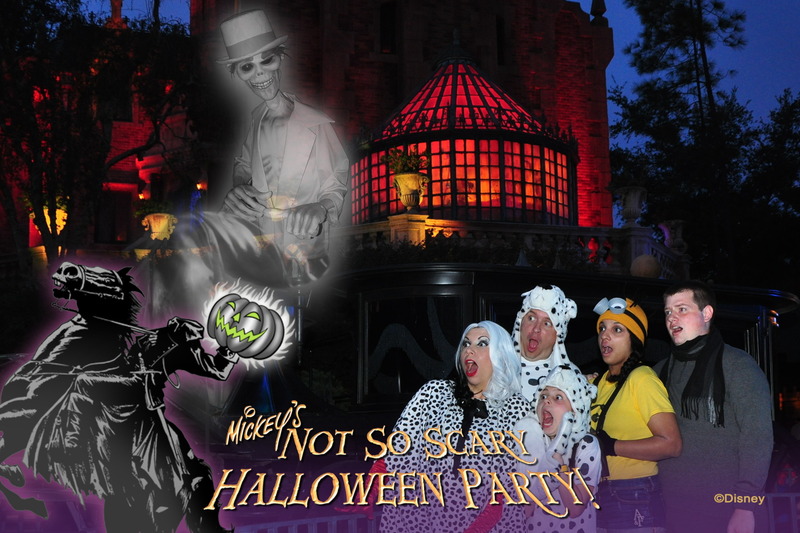 Characters: Only during these parties can you get your picture with Mickey in his Halloween costume! Plus there are meet and greets with several hard to find characters during the party. BONUS TIP: Check out the map given to you upon arrival, make your way to the queue for your favorite character as soon as you arrive, lines begin quite early for the most popular characters like Jack Skellington and Snow White and the Seven Dwarves. Hocus Pocus Villain Spectacular: This show is new this year and since I am a huge Hocus Pocus fan I am so jealous of anyone who gets to attend, please do not miss it! I loved the Villains Mix and Mingle which was its predecessor, and I assume the new show will be even more amazing! Boo-To-You Parade: Many Disney enthusiasts consider the Boo-to-You parade to be the best parade in the history of Walt Disney World Resort. To be fair, I have not seen every parade, but this parade has been my favorite of the ones I have seen so far! From the Headless Horseman leading the way, to the Haunted Mansion float and the Grave Diggers, this parade is a must-do! BONUS TIP: There will be two parades, the first one being the most crowded. See my last tip for a suggestion of how to see both shows and the parade with a great view! Happy HalloWishes: A Halloween themed version of Wishes, this nighttime spectacular and fireworks display is another item not to be missed! The Big Three of MNSSHP: Here is my almost guaranteed fool proof plan of seeing the Hocus Pocus Villain Spectacular, Happy HalloWishes, and the Boo-to-You Parade without having to leave your seat! Snag a spot close to the front of the castle immediately after the first parade clears out. After a bit of waiting, you can then watch Celebrate the Magic at 9:15pm, Happy HalloWishes at 9:30pm, the Villain Spectacular at 10:05pm and the 10:30pm parade as it passes by! It worked perfectly for us, we had amazing front row views directly across the street from the castle and it really made the night amazing! Plus we had plenty of time to Trick or Treat after! 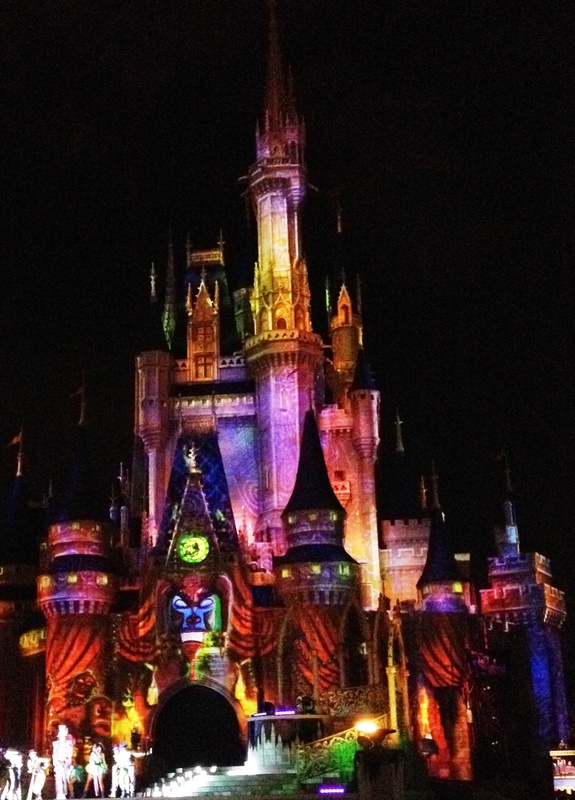 There you have it, my 10 tips for a perfect MNSSHP experience! Whatever you chose to see during the party, make sure you stop and really enjoy it- it goes by very fast! But the memories do last a lifetime! can you give a few more specifics on number 10? Like exactly where that magic spot is? Hi Kara! I generated a map of the Magic Kingdom with the exact location where were able to sit. If you give me an email address I can email it to you. To better explain it, we sat on the curb, across from the stage facing the Castle. I hope that helps! Thanks for reading!